To reduce the amount of water you're using, install aerators on faucets and showerheads. It's the most effective water conservation savings: Aerators can reduce home water consumption by as much as 50% thus reducing your energy cost of heating the water by 50%. That's good news for your utility bill - and an added plus for the environment. a year in utility costs. Similar to aerators, replacing your tanked water heater with a tankless model reduces the amount of energy consumed and cost to heat water because they only heat what is needed, when it's needed. Plus, no pilot light means it emits less carbon dioxide and improves air quality. Switch out incandescent bulbs with compact fluorescent bulbs or the new LEDs and CFLs, which use less energy and last much longer. This really is a bright idea: the light is brighter, and they use 75 to 80 percent less energy - a savings of up to $125 per bulb over the cost of their life. and match your style, use less energy, less water and less non-renewable resources. a community of more than 6,400 organizations with the goal of transforming the building marketplace through sustainability. Go green and you'll see there's a lot to smile about. 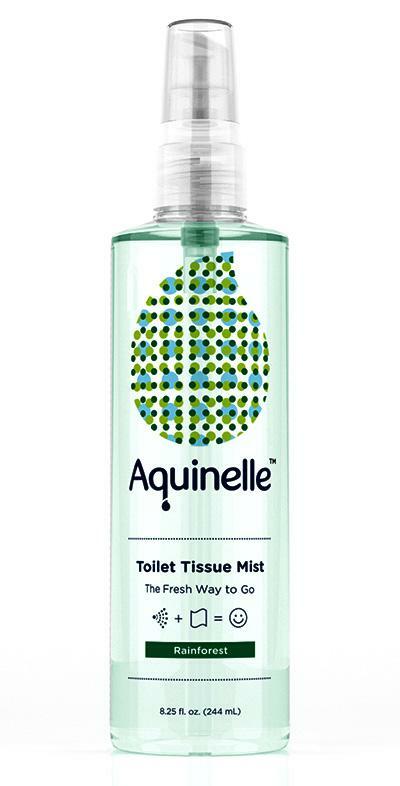 And remember, no newly green bathroom is complete without Aquinelle Toilet Tissue Mist. The dermatologist-tested, kid-safe, family-approved - not to mention, most hygienic and fuss-free way to keep things clean. Check out all the fragrant and planet friendly varieties here.